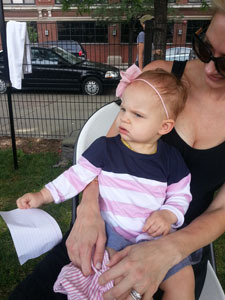 Duncan Kids Academy opened another center, the one on West Madison, and celebrated the occasion with a block party and open house. 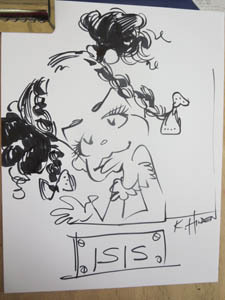 I had done two of their events before and was delighted to be asked back for this major expansion. 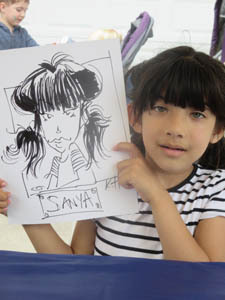 The very little kids get fidgety as they sit on mom’s lap while I draw them, but it only takes about a minute for me to get the features down on paper. 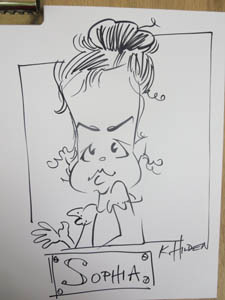 So, the child doesn’t appreciate what I do, but the parents absolutely love having these drawings for the child’s room. 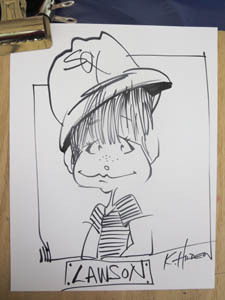 I drew forty-four children in three-and-a-half hours. 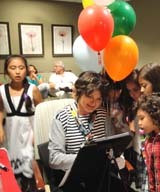 Here are some of them. 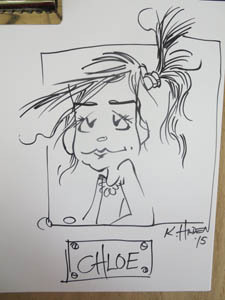 Thank you, Rich and Christine. 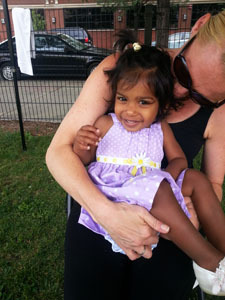 The Duncan Kids Academy enrolls kids from six weeks to five years old. 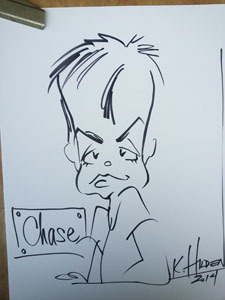 I first did the picnic with Rick Duncan in Gurnee a couple of years ago, when he was just starting his programs. 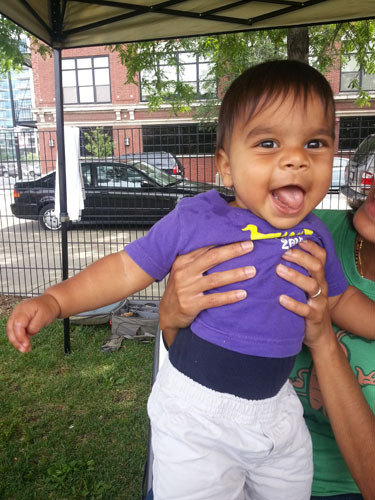 Now he’s opening an academy in the West Loop and working with very upscale parents . 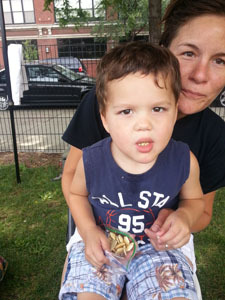 Anyway, last Thursday he held a morning event at the Mary Bartelbe Park at Monroe and Peoria, Chicago. 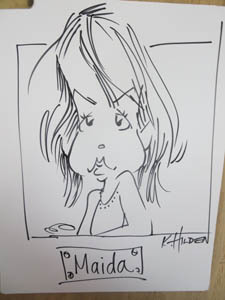 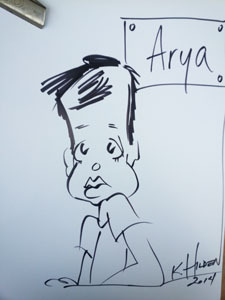 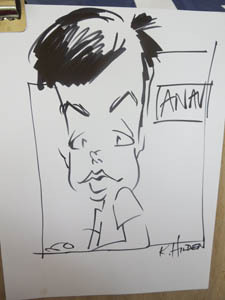 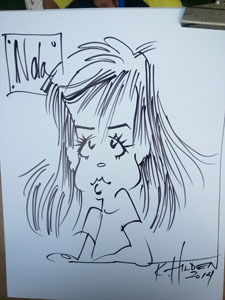 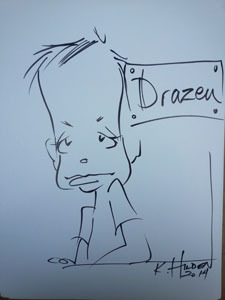 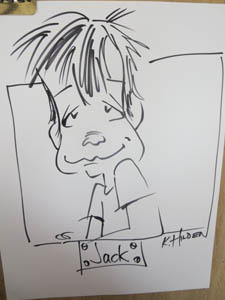 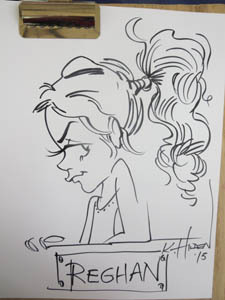 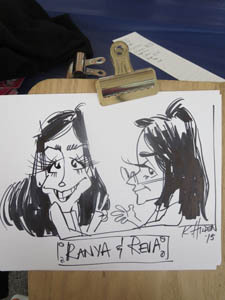 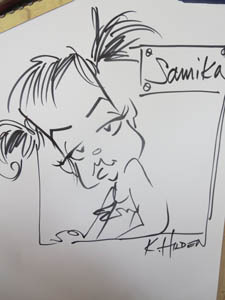 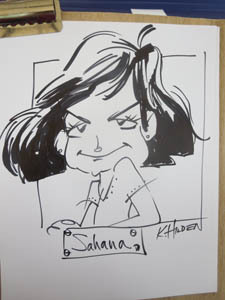 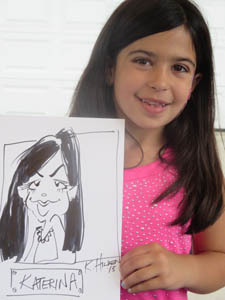 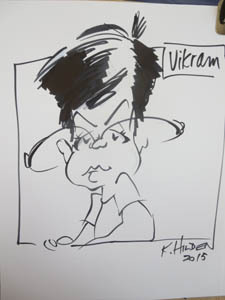 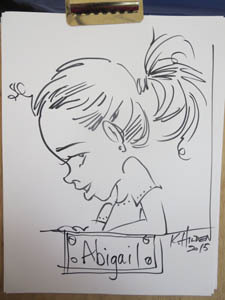 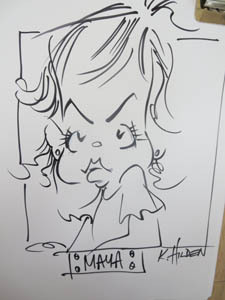 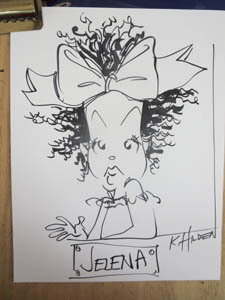 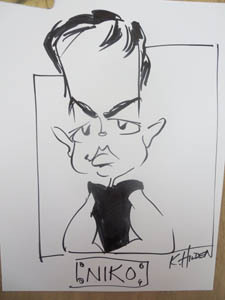 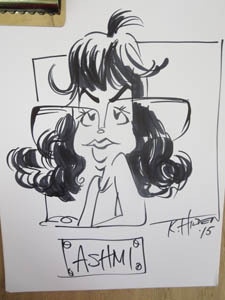 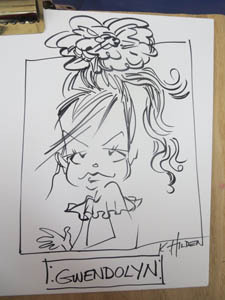 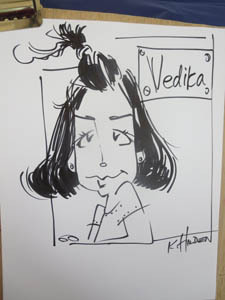 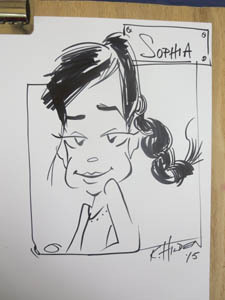 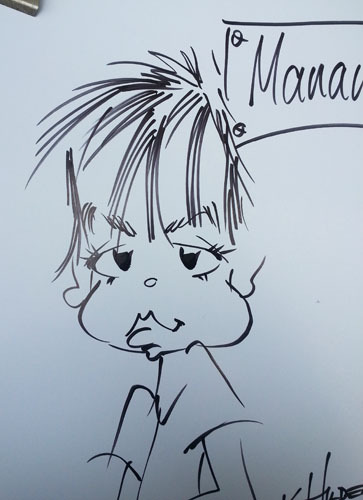 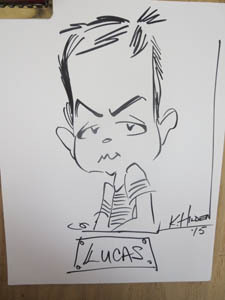 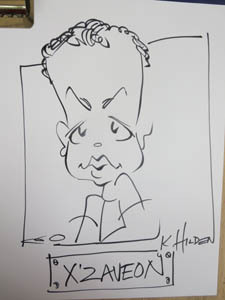 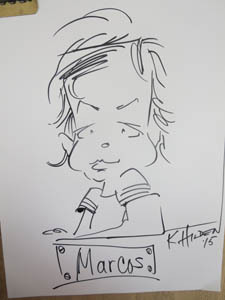 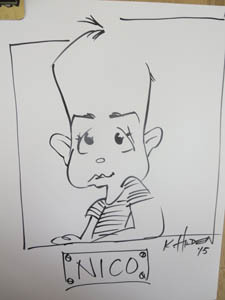 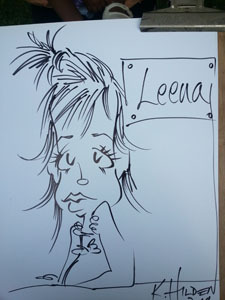 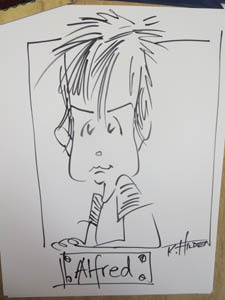 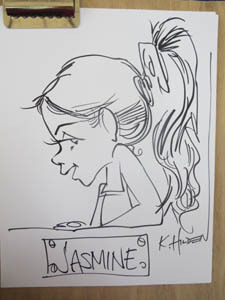 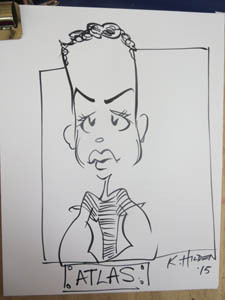 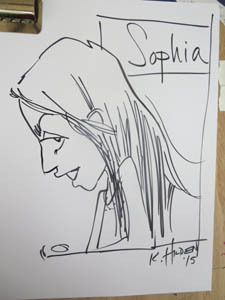 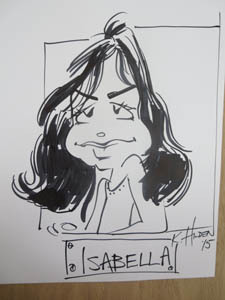 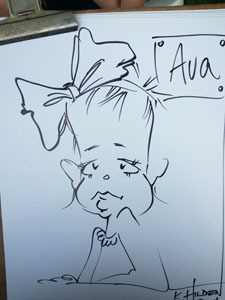 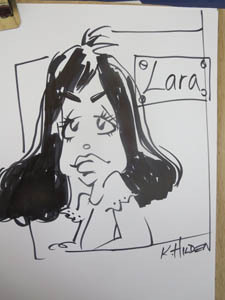 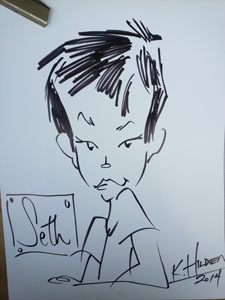 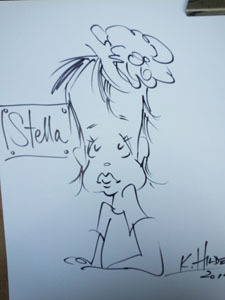 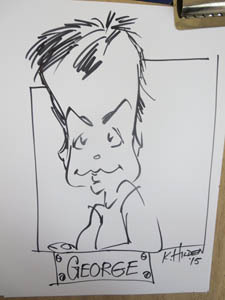 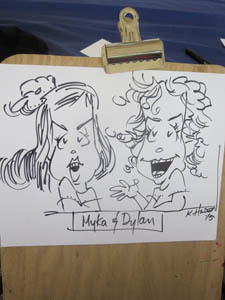 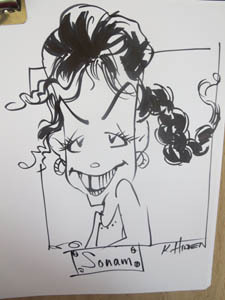 There were games, refreshments, a fantastic trio of musicians and that famous caricaturist, mmmm, moi. 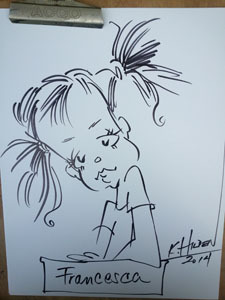 I drew at least fifty kids, whew! 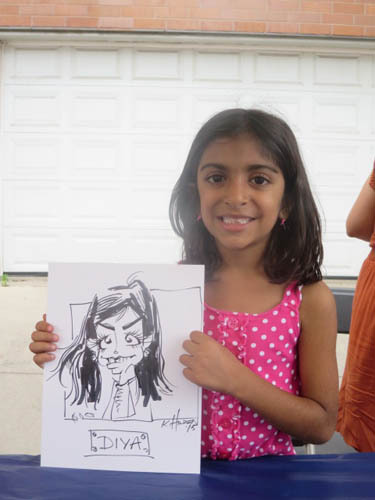 That’s in just three hours. 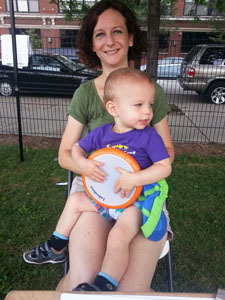 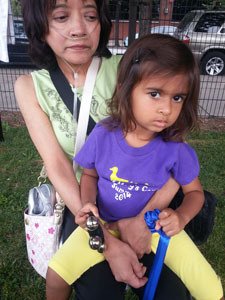 But the event was well organized and so it was one squirmy, puzzled toddler after the other, no gaps, which I love. 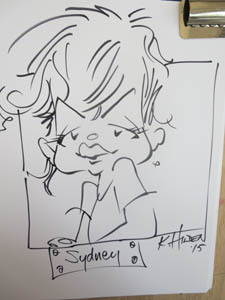 The kids were puzzled by this business of being asked to look at this stranger with the drawing board and you can see that in the expressions I put into the drawing—because that’s what I saw. 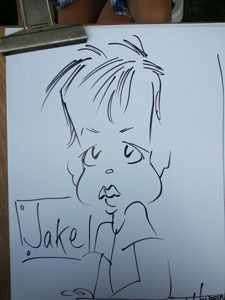 But the parents absolutely love these drawings. 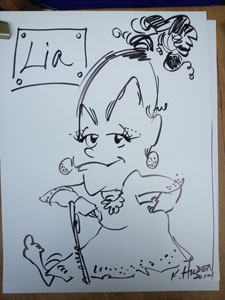 The fabulous musician was Lia Nicine McCoo, lia.mccoo@icloud.com. 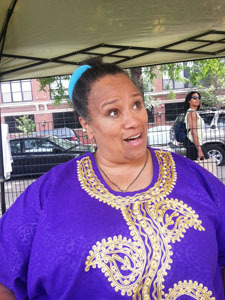 She wore purple, you can’t miss her.